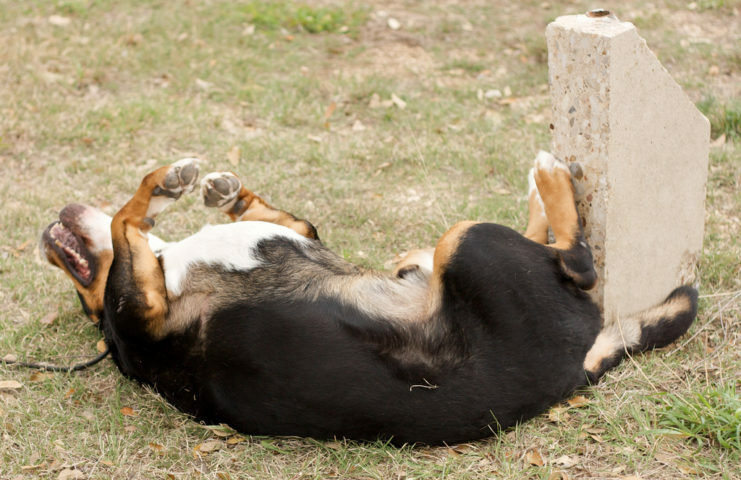 If you notice your dog has been itching a little more than normal and your dog has flaky skin, then your dog is probably suffering from dry skin issues. Flaky skin is especially obvious if your dog has darker colored fur. If you think your dog has dry skin, consult your vet. My friend tried to treat her dog’s dry skin with some over-the-counter pet product and it just caused her dog’s skin to turn scabby and itchy. Her vet informed her the dry skin was possibly due to allergies, but it was worth trying some olive oil first — to see if the condition improved. That’s right, one of the best dog dry skin remedies you can try at home is adding olive oil to your dog’s dry food 2 to 3 times a week. This will help make your dog’s coat shiny and flake free. It seems to work well for most dogs. There are a few other home remedies for treating a dog’s dry skin worth considering, as well. Increase humidity in the air – Just like with humans, dry air during the winter can cause dry skin in dogs. Add a humidifier in the room that your dog spends most of his time in. You can also put your dog in the bathroom and run a hot steamy shower. This acts like an on-the-spot humidifier. Try natural food additives – Try adding a little olive oil, fish oil or another source of omega 3 fatty acids. Don’t add too much. And only do this a couple of times each week. The oils will improve your dog’s dry skin from the inside out. Apply natural topical oils – For really bad cases, a dog dry skin remedy that works well is to massage a little olive oil directly onto your dog’s skin once a day. Just remember to consult your vet first before trying any at home remedy (because your vet may know of other issues that could be causing your dog’s dry skin).